Jardinería Vigil Navarro "DESIGNING GREEN SPACES"
Vigil Navarro has highly qualified technical staff, experts who will be in direct contact with you to advise you and ensure that the construction or maintanance of the garden is always carried out according to your preferences. We must bear in mind that the garden must be integrated into the existing environment. The architecture of the house, the orientation and location of the plot are are the first and basic elements that have to be taken into account when designing the garden. A following analysis brings with it the different species that due to their characteristics best adapt to the environment of the plot. For this it is necessary to study levels, type of soil, PH, the properties and characteristics of the water so we can ensure a long life of the future garden. We have a large fleet of machinery and vehicles to perform all the works with the highest quality and safety. Our company designs its projects with the aim of creating harmony between garden and individual … more. 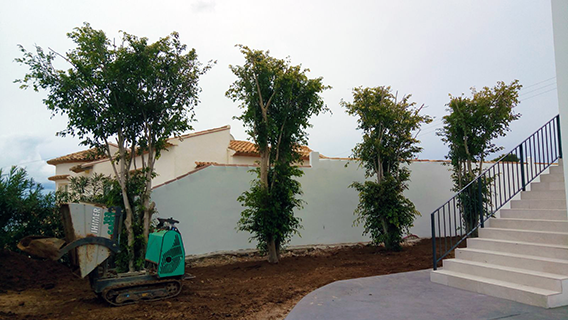 At Vigil Navarro we have teams specialized in the design and construction of gardens and green spaces. Welcome to the website of Jardinería Vigil Navarro, a company dedicated to the design, construction and maintenance of gardens and green areas. Here you will find information about our company, finished jobs, services we offer. Through our contact page you can contact us and ask us any question, which we will answer as soon as possible. Aquí encontrará información sobre nuestra empresa, trabajos realizados, servicios de los que disponemos e incluso podrá formularnos preguntas o dudas, que intentaremos resolver lo antes posible. Hay que tener en cuenta que el jardín como parte integrante del entorno en el que vivimos, necesita de unos cuidados importantes, debemos saber que, como los seres humanos, las plantas también necesitan de su alimento así como del tratamiento de plagas y enfermedades. Por ello una buena calidad a la hora de construir o mantener un jardín es muy importante. 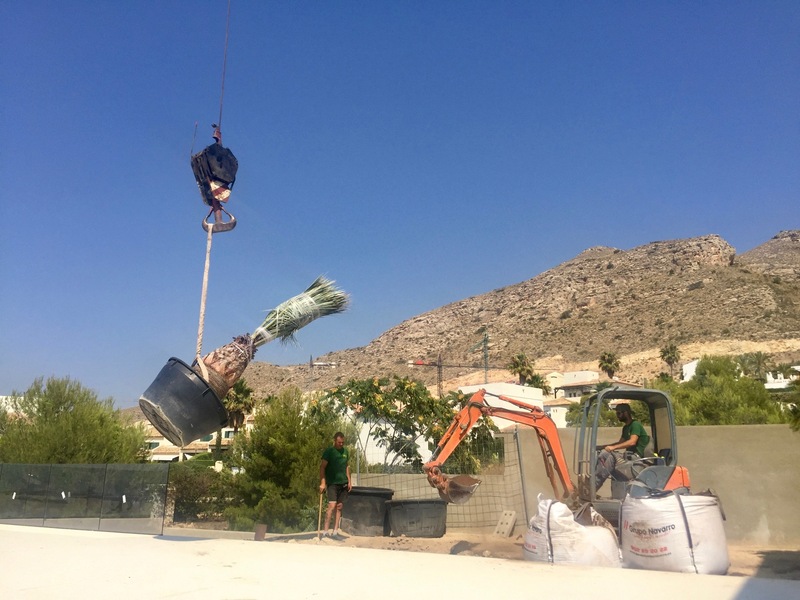 Nuestro objetivo como profesionales del sector es que nuestros clientes disfruten del jardín de sus sueños. 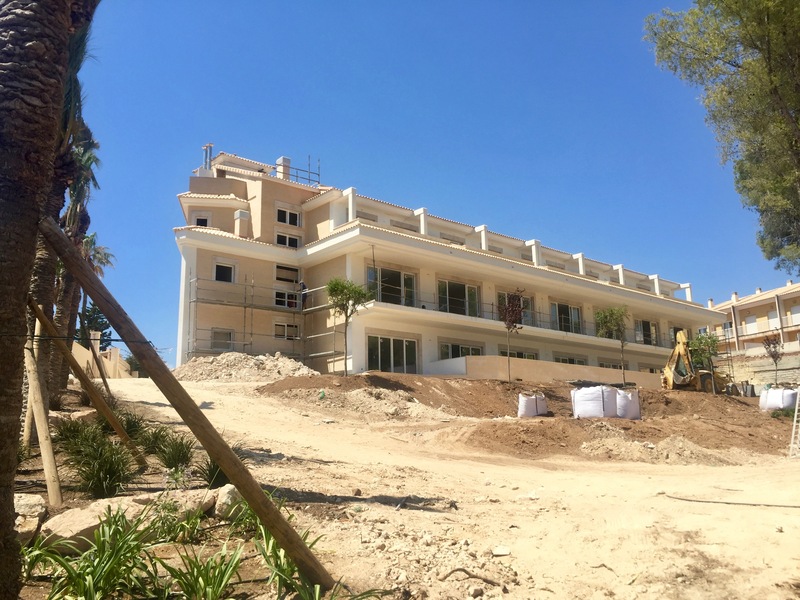 Works have started on a new important hotel in the Marina Baixa. 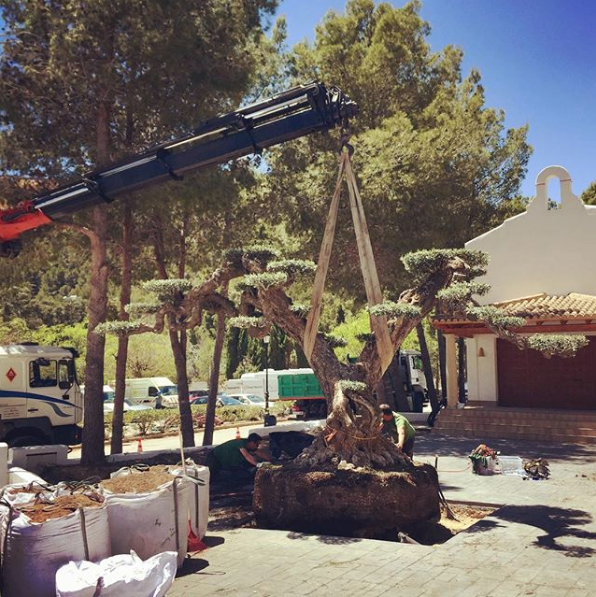 Once again, Jardinería Vigil Navarro is chosen to execute this great project for its proven efficiency and the maintenance of the highest standards. 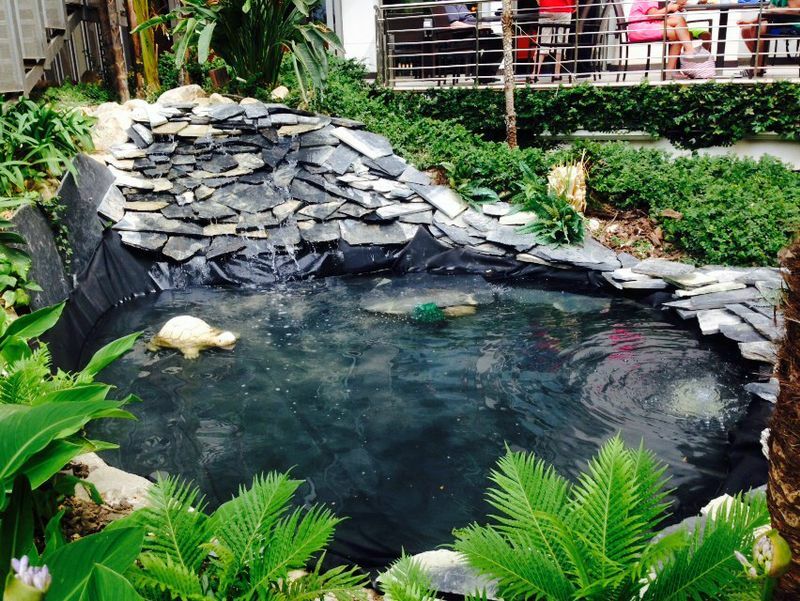 At Vigil Navarro Gardening we have qualified personnel to can make all kinds of ponds or other decorative elements with water. 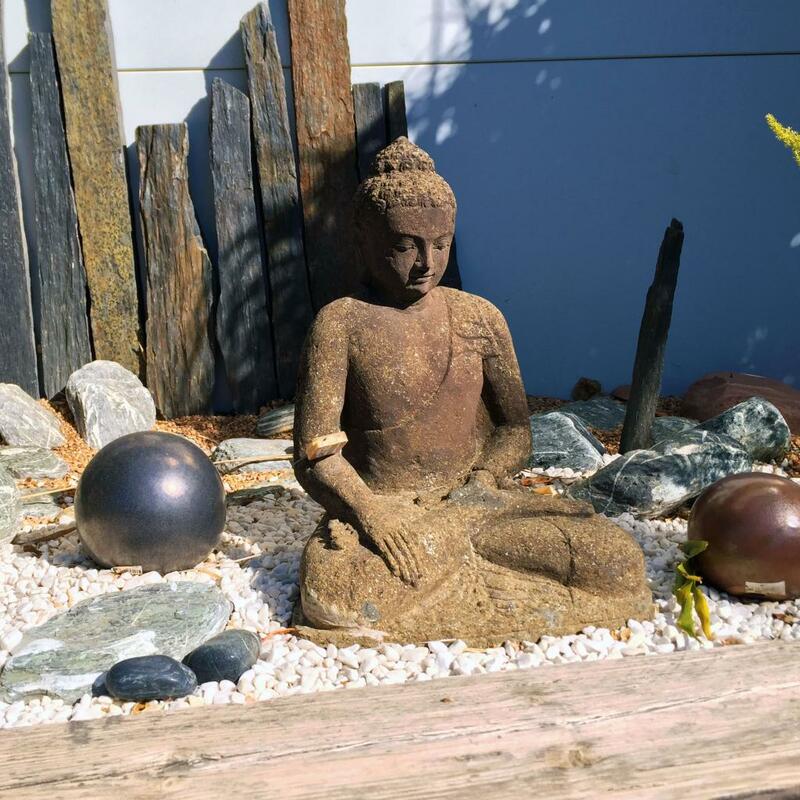 We decorate your house, garden or patio with ornamental statues handmade in the east. Planting a Ficus hedge for increased privacy in the garden. 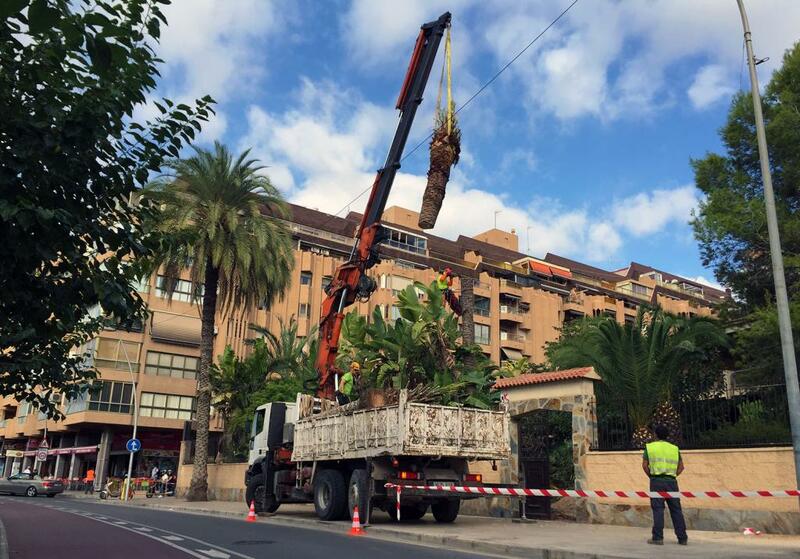 To perform jobs with height Jardinería Vigil Navarro has several trucks equipped with crane.